Infections of the brain lead to problems such as vision loss, weakness and paralysis. Brain tumors also press on nerves and affect brain function. 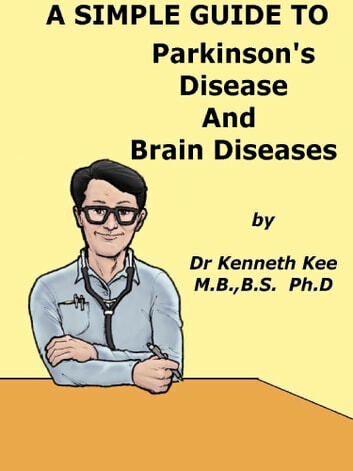 Degenerative brain diseases, such as Parkinson’s Disease. The symptoms of brain diseases vary widely depending on the specific problem. In some cases, damage is permanent. In other cases, treatments such as surgery, medicines or physical therapy can correct the source of the problem or improve symptoms. The best diagnosis of brain diseases is by an MRI of the brain. Parkinson's Disease is a disorder of old age characterized by slow movement , rest tremors , rigidity and poor coordination. 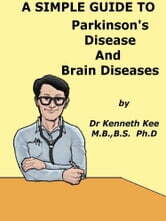 Parkinson's Disease usually after the age of 50 years. Incidence is about 0.2% of population. It is one of the most common neurologic disorders of the elderly. Parkinson's Disease results when the nerve cells in the part of the brain that controls muscle movement are gradually destroyed. Nerve cells use a brain chemical called dopamine to help send signals back and forth. Damage in the area of the brain that controls muscle movement causes a decrease in dopamine production. Low dopamine affects the balance between nerve-signaling substances (transmitters). As a result, the nerve cells cannot properly send messages. This results in the loss of muscle function. Early symptoms may be nonspecific and my include numbness, painful and tender muscles, stiffness and weakness of limbs, fatigue and unexplained weight loss.